ThymuPlex™ / 50 caps - Nature's Way®. 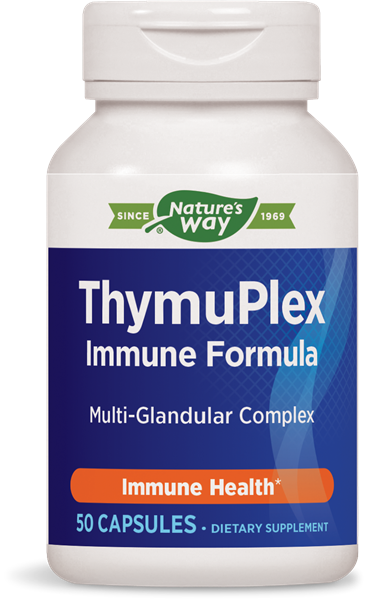 This is the same formula as ThymuPlex™ tablets, but in capsule form. Four capsules are equal to two tablets. Do not use this product if pregnant or nursing. Not recommended for individuals with autoimmune conditions. Individuals with allergies to plants of the Asteraceae (Compositae) family, including ragweed, should use this product with caution. If you have diabetes or are taking any medications, consult a healthcare professional before use.